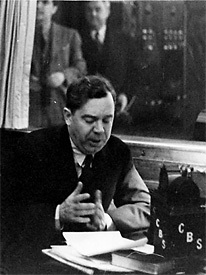 In a national radio address on February 23, 1934, Huey Long unveiled his “Share Our Wealth” plan (also known as Huey Long's "Share the Wealth" plan), a program designed to provide a decent standard of living to all Americans by spreading the nation’s wealth among the people. Long proposed capping personal fortunes at $50 million each (roughly $600 million in today's dollars) through a restructured, progressive federal tax code and sharing the resulting revenue with the public through government benefits and public works. In subsequent speeches and writings, he revised his graduated tax levy on wealth over $1 million to cap fortunes at $5 - $8 million (or $60 - $96 million today). Long advocated free higher education and vocational training, pensions for the elderly, veterans benefits and health care, and a yearly stipend for all families earning less than one-third the national average income – enough for a home, an automobile, a radio, and the ordinary conveniences. Long also proposed shortening the work week and giving employees a month vacation to boost employment, along with greater government regulation of economic activity and production controls. He later proposed a debt moratorium to give struggling families time to pay their mortgages and other debts before losing their property to creditors. Long charged that the nation’s economic collapse was the result of the vast disparity between the super-rich and everyone else. A recovery was impossible while 95% of the nation’s wealth was held by only 15% of the population. In Long’s view, this concentration of money among a handful of wealthy bankers and industrialists restricted its availability for average citizens, who were already struggling with debt and the effects of a shrinking economy. Because no one could afford to buy goods and services, businesses were forced to cut their workforces, thus deepening the economic crisis through a devastating ripple effect. Long believed that it was morally wrong for the government to allow millions of Americans to suffer in abject poverty when there existed a surplus of food, clothing, and shelter. He blamed the mass suffering on a capitalist system run amok and feared that impending civil unrest threatened the democracy. By 1934, nearly half of all American families lived in poverty, earning less than $1,250 annually. “The same mill that grinds out the extra rich is the same mill that will grind out the extra poor, because, in order that the extra rich can become so affluent, they must necessarily take more of what ordinarily would belong to the average man,” said Long. 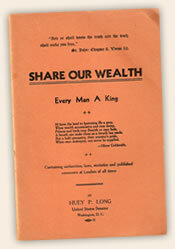 To build grassroots support for his program, Long announced the formation of the Share Our Wealth Society with the slogan "Every Man a King", and he encouraged the public to write to him to learn more. Long’s message struck a chord with a public desperate for relief. 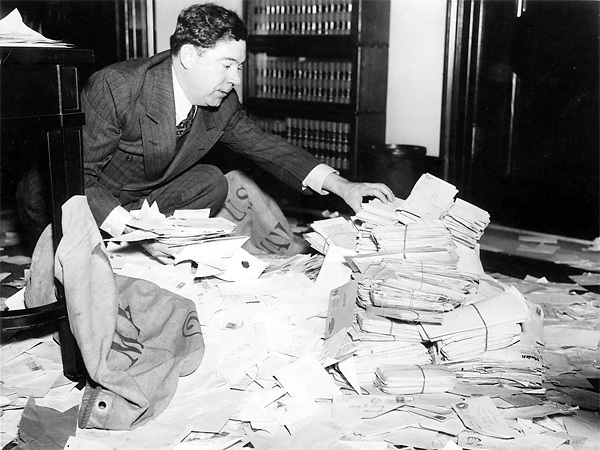 By April 1935, his Senate office received an average of 60,000 letters a week. To organize a network of Share Our Wealth clubs around the country, Long enlisted the help of Reverend Gerald L. K. Smith, a charismatic minister from Shreveport with a gift for public speaking. Smith traveled the nation, drawing huge crowds in support of Long’s program, and by the end of 1934, the movement already had three million members. By the summer of 1935, there were more than 27,000 Share Our Wealth clubs with a membership of more than 7.5 million. Loyal followers met every week to discuss Long’s ideas and spread the message. There were no dues, just fellowship and discussion, and membership was open to all races. White supremacists charged that Long was attempting to organize blacks to vote. Long countered that Share Our Wealth was meant to help all poor people, and black people were welcome to participate since they were the poorest people in the country – a radical inclusion for a deeply segregated society. Meanwhile, the conservative national media dismissed Long’s program, lampooning Long as a "hick", "buffoon", "communist", "socialist" and "fascist dictator". Long countered that the national newspapers were the pawns of the wealthy Wall Street financiers who were threatened by his program. Liberal journalists alleged that a prominent Wall Street bank hired a public relations firm to plant negative stories about Long in the media. Long by-passed the negative press by distributing his own newspaper, The American Progress, and he spoke directly to a national audience through radio speeches and speaking engagements. After addressing a crowd of 15,000 in Pittsburgh, a local official estimated that Long could easily win 250,000 votes in his district if he ran for President. By 1935, Long was the third-most photographed man in America, after President Roosevelt and celebrity aviator Charles Lindburgh. A political poll by the Roosevelt re-election team, the first national poll of its kind, revealed that Long was siphoning key Democratic support from FDR's campaign. Democratic National Committee Chairman James Farley estimated that Huey could draw up to 6 million popular votes in the 1936 election. According to aides, Roosevelt hoped to “steal Long’s thunder” by embracing some of his causes. Long’s rapid rise in national popularity is credited with Roosevelt’s Second New Deal of 1935, a more liberal version of his New Deal agenda, which included proposals for Social Security (old age pensions), the Works Progress Administration (public works projects), the National Youth Administration (financial aid and employment for students), the National Labor Relations Board (rights of unions to organize, minimum wage and 40-hour work week), the Public Utility Holding Company Act (regulation of public utilities), the Farm Security Administration (assistance to farmers), and the Wealth Tax Act (graduated income and inheritance taxes). 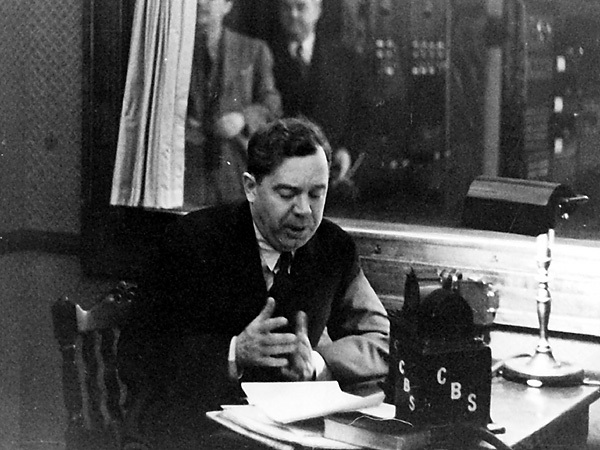 Huey Long addressing the nation on CBS radio. Long frequently used national radio addresses to champion his causes to an estimated 25 million listeners. Read the full text of Huey Long's original Share Our Wealth speech. Long with some of the 60,000 pieces of mail he received weekly at his U.S. Senate office. Long’s deluge of fan mail prompted the Senate to provide Long with extra office space to accomodate 32 typists, who worked around the clock to respond to all the mail. Following one of his radio speeches, Long received more than 720,000 letters in less than a month, far surpassing the amount of mail received by the President. How did Huey Long's tax reforms help the average Louisiana family? After Huey Long restructured the tax code in Louisiana, the average family saved the equivalent of $5,100 in today's dollars. By requiring corporations to pay their share of taxes and shifting the burden for public services from local munici­palities to the state, the cost of living went down and the standard of living went up — dramatically and quickly. >> Learn more about Huey Long's economic reforms and other programs.